Split players into 2 groups. 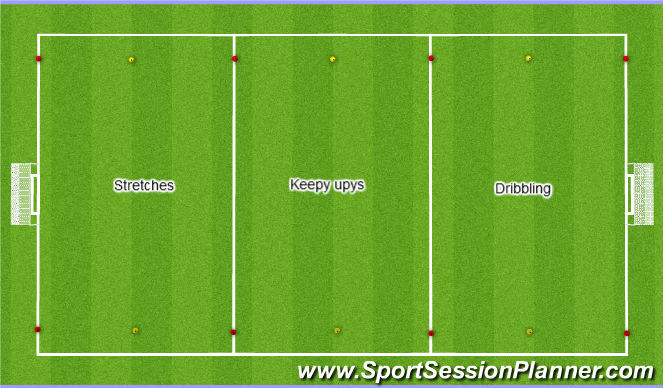 1st group keep ups, once they have control encourage movement with the ball in the air. 2nd group dribbling in the area. 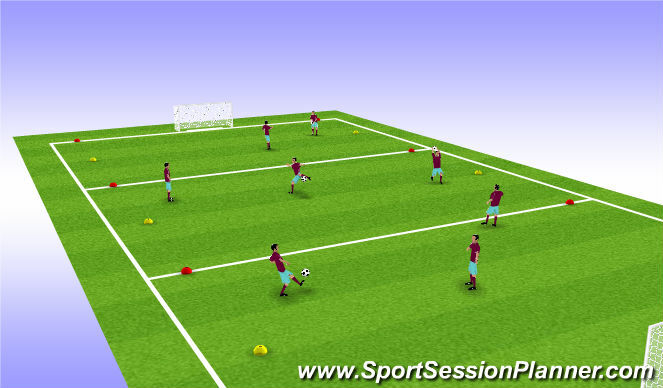 Players work in pairs and throw, bounce or pass into the opposite players for them to control. Once the ball has been controlled it is to be chipped back up into the servers hand. Swap after 5 goes each. Progress to control then move to another player. As shown above the server is to either throw, kick or bounce the ball into the central player. 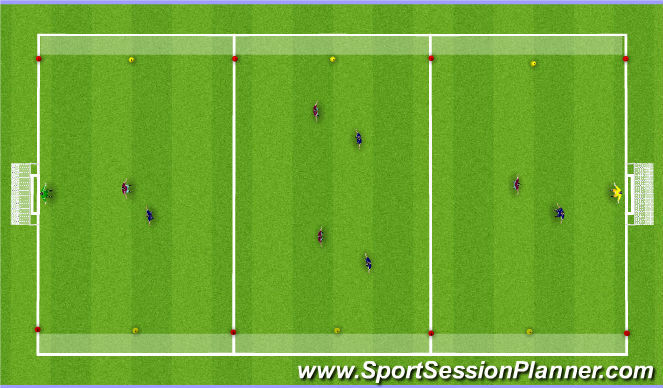 Central player controls the ball, turns and passes into the opposite server. Swap after 4 goes with each server. Normal game with throw in changed to big bounce in.